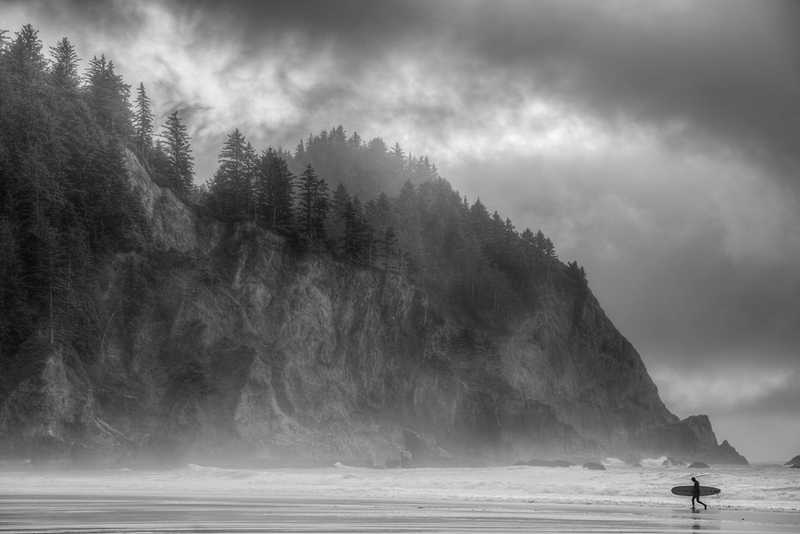 Photo of a surfer leaving the water on a stormy, misty morning with tree lined cliffs in the background at Smuggler Cove on the Oregon Coast. Maximum print size of this image is 40" x 60". This image is not part of a limited edition.